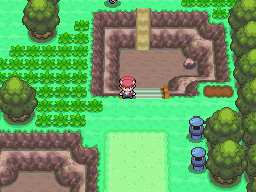 This is an arrangement of the track that accompanies the player’s travels through Route 209 during the daytime in Pokemon Diamond, Pearl and Platinum. It’s probably my favourite arrangement from the Pokemon series in Smash. Right off the bat, the arrangement stays very true to the original song. Unlike the previous song I examined, the tempo was not altered to make it fit the speed of a high-energy brawl. This is likely because the song would sound unnatural at a faster pace: sometimes the musical appeal has to take priority over changing a song to make it “fit” a fighting game. Because of its relatively few compositional changes, Brawl‘s “Route 209” does not feel like a full out re-imagining or remix of the original tune – rather it is like a remaster with updated instrumentation. In my opinion, they did an excellent job with doing so: this arrangement of “Route 209” really brings the original tune to life. Arrangement supervisor Shogo Sakai – known mainly for his work on Mother 3 – has been a veteran composer for the Super Smash Bros. series since Melee. He has worked on more arrangements than any other composer who has worked on the Smash series (source), and even collaborated with the legendary Nobuo Uematsu to create Brawl‘s epic Main Theme. His approach for this particular arrangement, despite it’s similarity to the source material, still manages to display his creativity and compositional skills. It maintains the original song’s uplifting feel and the lovely, soft piano melody, but if one listens with a close ear, there are in fact some neat differences that give this version its own unique flair. The main difference is in the instrumentation. The original song leaned more toward an orchestral ensemble: for example, the original uses a concert harp and tubular bells, instruments which are not present in the Smash arrangement. The Smash remix, in contrast, leans more on the side of contemporary popular music. While not belonging to any specific genre in particular, it has elements from both rock and pop music. For example, this arrangement forgoes the harp for some soft, bubbly synths, which add quite a nice new flavour. Also, the brass section isn’t nearly as prominent in this version. Another notable departure from the orchestral style of the original lies in the percussion: the original tune had a march-like beat, which is very snare-heavy; with a strong pulsing bass drum, evenly interspersed cymbal crashes, and a steady “marching” rhythm. While there are hints of the marching percussion in the Smash arrangement, it mostly opts for a modern drum kit. It’s beat doesn’t hesitate to stray from the steady rhythm of the original, allowing for some really cool licks and rhythmic patterns in the drums (particularly the hi-hats and cymbals). This fits with the subtle but effective transition from the more rigid classical march-like orchestral feel to a more contemporary pop flavour. I think this difference in style is exemplified most in the chorus. The original Route 209’s chorus was rather standard, or “vanilla” sounding – still a nice melody, of course, but doesn’t quite ramp up the energy from the rest of the song. It’s pleasant, but a bit understated, if you know what I mean. Brawl’s arrangement, however, adds such a delicious flavour, and really elevates the chorus to a whole new level. Listen to the piano accompaniment in particular: it adds a completely fresh pattern of chords that is very soulful (it almost reminds me of the piano accompaniment you might hear in a gospel or R&B song). It’s brief, but it changes the “vibe” so effectively, making it into something you could groove and dance to. The chorus stands out to me above everything else; it makes me smile every time! To me, this arrangement shows that a major revamp is not always needed to make a great arrangement. While the Smash remixes that dramatically change the style or increase the speed/energy to feel more at home in a fighting game are always quite thrilling to hear, the more reserved arrangements such as “Route 209” are nonetheless welcomed additions to Smash‘s ever-expanding soundtrack. For a track that is nostalgic and emotionally significant to fans such as Route 209, perhaps all it needed was to be enhanced, rather than drastically altered. Thanks for reading! If you enjoy this sort of post and would like more of this content, drop a comment and let’s chat! Author pixelteaPosted on December 28, 2016 January 2, 2017 Categories Analysis of a Smashing SoundtrackTags Pokemon, Super Smash Bros.